Website designs specifically for the printing industry. Built-In reporting for just about everything you could imagine. From Ink, Paper to a completed finished peice, software that handles everything. Leads, customers, e-blasts all controlled from the software. Invoicing is easy when it is automated, invoices will be sent out to your clients automatically. Monitor every avenue of your finances with reports / analysis from the MIS admin. Let your customers submit custom quotes right through your website with speed. Content is key on todays search results, manage your content with a built in CMS on your Web-To-Print Storefront. Take orders from anywhere at anytime. Everything you need to manage a business in the printing industry. Web-To-Print MIS Software Designed for the Printing Industry. With the advent of online ways of doing business, modern day print customers have a strong preference, and strongly patronize firms that avail their services online. To this end, the business communities have consolidated their collective expertise and leveraged their experiences in creating custom online printing solutions across the country. 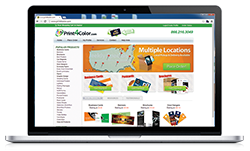 Rated as a top Printing Industry management Information System, printinginabox.com provides web to print capabilities to printing firms – large and small. In addition to allowing customers to place their orders over their internet, this system helps print shop owners streamline the production process with automated workflow relevant to print production and comes equipped with sophisticated business management tools. By integrating such innovations into your business, you are availed with an avenue that opens doors to previously elusive revenue streams. When it was introduced over a decade ago, web to print technology was so exorbitantly priced, to the extent of alienating the small and medium enterprises. Thanks for modern day Printing Industry management Information System such as printinginabox.com, you can access this highly lucrative business solution for a monthly low of $299 and exponentially grow your business. This dynamic solution not only helps you expand into new markets, but it is instrumental in streamlining the business process as well. By signing up with the Printing Industry management Information System, you are embracing an opportunity to launch a fully operational, search engine optimized web store in a matter of minutes. Hosted on dedicated servers, your storefront is always open for business round the clock. Besides, accessing premium merchandise that is attractively priced, your customers can create their very own design on the versatile design studio that features thousands of professionally designed templates. Customers patronizing your storefront have a choice to select their products specifications, turnaround, and delivery methods and generate real time pricing quotes. With the Printinginabox.com, all your financial transactions happen in real time; your customers pay for their goods using all the major cards as well as through PayPal. Designed for efficiency and real-time operations, the Printing Industry management Information system notifies you once an order is placed at your store, and you can monitor the progress through the automated workflow protocol. A dedicated CRM tool allows you to deal efficiently with any arising customer issues while a POI system makes it for your staff to handle any customer inquiries over the phone from virtually anywhere. Keep ahead of the competition by growing your business with e-blasts, conveniently sending quotes on the go, or even generating and keeping track of your invoices right from the printing industry management information system. Business planning is now a breeze; stay on top of things with the financial planning, analytics and reporting as well as supply chain management capabilities of the Printing Industry management Information System. Subsequently, joining a Printing Industry management Information System introduces you to a vast network of vendors and established printing firms spread across the country. When faced with an order you can’t fulfill, just pass it on to the large company within your network and astound the client with the high-quality work, as well as the fast turnaround. It also entitles your firm to high discounts from vendors and guarantees you 1-2 days ground shipping within the US. The Printing Industry management Information System offers your business unsurpassed growth and expansion opportunities. I've been selling print for 5 years and since I've discovered PIAB, it has never been easier. PIAB's fully integrated printing software practically runs my business for me. Signing up with Printing In A Box took our graphic design business to a new level by becoming a one-stop shop for all our clients printing and design needs. Here is what Printing In A Box MIS Software can do for you! Ready to get started, Signup Below! To ensure a smooth running of your business, our web To print MIS solutions are equipped with effective easy management tool that puts your firmly in control. From marketing tools, to creating invoices on the fly, to tracking orders and work flow management follow the progress of your business at the touch of a button on your web To Print MIS. Printing In A Box | A Complete Web-To-Print MIS Software Solution. What Is Printing In A Box?